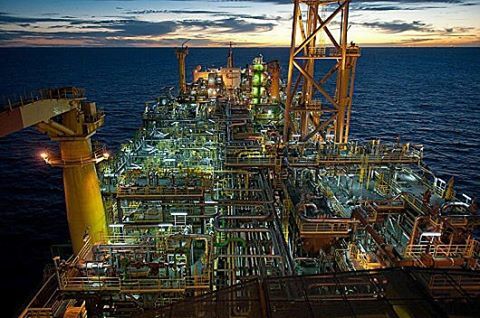 Shell and its joint venture partners have begun #oilproduction from the third phase of the deepwater #ParquedasConchas (BC-10) development in Brazil's #CamposBasin. Production for this final phase of the project is expected to add up to 20,000 barrels of oil equivalent per day (boe/d), at peak production, from fields that have already produced more than 100 million barrels since 2009. Operated by @Shell (50%) and owned together with ONGC (27%) and QPI (23%), Parque das Conchas Phase 3 comprises five producing wells in two Campos Basin fields (Massa and O-South) and two water-injection wells. The subsea wells sit in water depths greater than 5,900 feet (1,800 meters) and connect to a floating production, storage, and offloading (FPSO) vessel, the Espirito Santo, located more than 90 miles (150 kilometers) #offshore #Brazil.